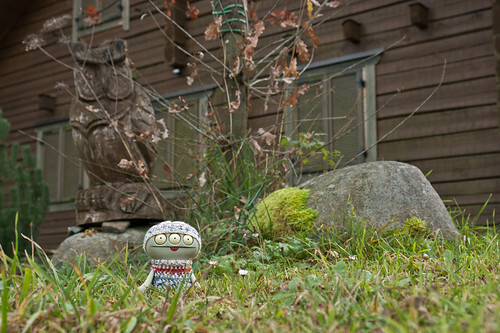 Uglyworld #2106 - Owl Sculpturers - (Project Cinko Time - Image 305-365), a photo by www.bazpics.com on Flickr. I didn't realisers just how colders it would be overs here in Johanngeorgenstadt, and boys oh boys am I glads that Mireille finishereds makering my newers outfitter in times for the trip! As we has so much countrysiders around us whiles we is here on a shorters holimaday, I am trying to makers the mosts of it by headerings out to explores as much as I possiblies can after scofferings my brekkiesfast. Todays I findereds an awesomers big owl sculpturers which has been carvereds out of a biggers tree tunker, how cools is that!! !